Do I Need to Replace My HVAC Unit? Your HVAC unit could technically last for as long as you want it to but it is strongly recommended that you replace it on occasion. This is to ensure you have a model that works to its fullest capacity. This is also to keep you from spending more on heating or cooling costs as a newer model will certainly be more energy efficient than other choices out there. You should think about precisely when you are going to replace your HVAC unit. This is to help you get a clear idea of what you should be doing when trying to keep your system comfortable and easy to manage in your home. 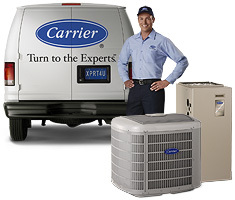 There are a few important points to consider when it comes to replacing your HVAC unit. The humidity in your home might be a sign that you need to replace your HVAC unit. The humidity can increase as a result of the HVAC unit not operating as well as it should. This is often a time when you need to replace your HVAC unit because it is causing outside air to get into your home, thus making it feel humid. A noisy HVAC unit can prove to be a rather problematic issue. This can come as the HVAC unit will wear out and become harder to manage over time. This could be a real threat that can keep your HVAC unit from being as efficient as it should be. Your HVAC unit might contribute to cases where you have inaccuracies in terms of the temperatures in your home. For instance, it might be extremely hot in one room and rather chilled in another room. This could be a sign that your HVAC base is not getting enough air to the many rooms in your home. The age of your HVAC system can especially be a point to look into. Any system that is at least ten years of age could be a real problem to have in your home. This comes as an older model may use more energy than a newer choice. Also, older models are more likely to break down than others, thus facilitating a need to get a newer option. The last point to see involves the dust that might be in your home. A home that has too much dust in it might be one that is getting it from the HVAC system letting it more outside air particles than needed. This can cause dust to build up quite easily. This can end up being a real hassle depending on what you have to work with. Make sure you look at how well your HVAC system is working. You might have a need to replace it after a period of time depending on how well it is working and if it needs to be fixed up in some way before it gets harder for you to manage than necessary.